Devices that can switch the current flow on and off in one circuit using the current flow in another circuit. Power Relays, Over 2 Amps @ 30 VDC An electromechanical device which turns a large load on or off through the use of a smaller control signal. The contacts on these devices have a rating of 2 amps or higher. Signal Relays, Up to 2 Amps @ 30 VDC An electromechanical device which turns a large load on or off through the use of a smaller control signal. The contacts on these devices have a rating of 2 amps or less. Automotive Relays An electromechanical device which turns a large load on or off through the use of a smaller control signal. Relays in this family are targeted at automotive circuits. High Frequency (RF) Relays An electromechanical device which turns a large load on or off through the use of a smaller control signal. 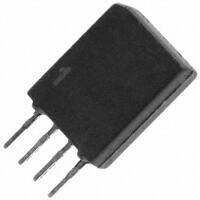 Relays in this family are targeted at high frequency (RF) applications. Reed Relays An electromagnetic device that uses a reed switch and a coil to turn a large load on or off through the use of a smaller control signal. 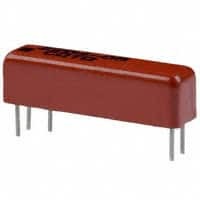 Solid State Relays An electronic device, without any mechanical parts, which turns a large load on or off through the use of a smaller control signal. Safety Relays An electromechanical device which turns a large load on or off through the use of a smaller control signal. Relays in this family are targeted at applications requiring safety rated products. Contactors (Electromechanical) An electromechanical device which turns a large load on or off through the use of a smaller control signal. Devices in this family are designed to handle larger amounts of current. Contactors (Solid State) An electronic device, without any mechanical parts, which turns a large load on or off through the use of a smaller control signal. Devices in this family are designed to handle larger amounts of current. I/O Relay Modules Standardized pluggable devices used in I/O systems for monitoring or controlling systems or acquiring signals. Device in this family convert a logic level signal to a voltage output. I/O Relay Module Racks A board that is designed to hold I/O Modules and the interconnects needed to connect the modules to devices that send or receive the required signals. Relay Sockets Devices that are used to allow relays to be easily inserted or removed from a circuit. Accessories Supplementary items that are used with relays.